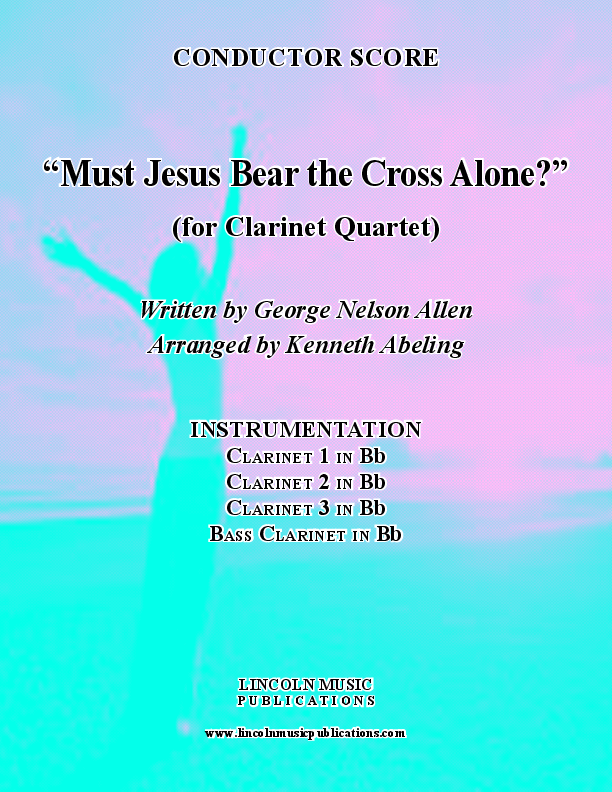 “Must Jesus Bear the Cross Alone?” by George Nelson Allen is the Hymn from which “Take My Hand Precious Lord” was derived. It is a favorite Spiritual, arranged here for Clarinet Quartet! This is a relatively easy arrangement and is suitable for a variety of occasions.